I am resigned to the fact that, as I get older, my body will react to its long-term usage. Things will give out. Parts will need to be replaced. Tune-ups will have their own section of my calendar. I have gone way beyond the youthful need of a gynaecologist, to seeing every “ist” known to man: dermatologist, cardiologist, orthopaedist, internist and dentist. And with the dentist, my story takes a turn. As an ageing adult, one who is relatively healthy, I have insurance to cover those tune-ups, replacements and emergencies. It’s expensive but a priority. As a child, my teeth were horrible, pure and simple. Visits to the dentist were as routine as going to church on Sunday. However, the pain and the fear rose with each visit. And as I grew older, I avoided the dentist unless a dire situation made me unbearable to myself and the world. And the cost was all out-of-pocket; medical insurance did not cover dentistry. The previous year, we had had this same conversation, which led to the beginning of my research into medical tourism. 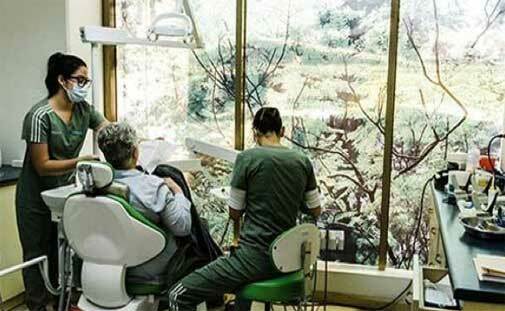 Scouring articles and reviews of clinics in multiple counties, I landed on Meza Dental Care in San Jose, Costa Rica. Impressed by their credentials (American Academy of Cosmetic Dentistry, with training at the University of California, Los Angeles) in implant and cosmetic dentistry, and the fact that the clinic’s founder, Dr Alberto Meza, took time to call me and answer questions, I chose Meza. Not only would they repair the missing and unstable teeth (implants and crowns) but also place porcelain veneers on my own teeth, allowing me to keep those that were strong. It was a total mouth restoration and it was guaranteed. I would be in San Jose one week for surgeries and return six months later for the final fitting and cosmetic work. But like so many times before, fear engulfed me and I didn’t go. This time, I had no choice. Basically, I had three options. The first option was to go to a local implant facility, which would pull everything and save nothing using the all-on-four implant procedure. The cost would be in excess of $70,000. The second option, to price just what I needed with my local surgeon and dentist—four implants plus crowns (extractions, bone grafts and anaesthesia)—was also in excess of $50,000 and did not include the cosmetic work. The third option was Costa Rica. I communicated with Meza the next day, sent the staff the necessary X-rays from my local dentist and, within a month, my husband and I were on a plane to San Jose. Faith is complex, especially when it involves foreign countries, foreign languages and dental procedures. Many of my friends and personal physicians questioned my move. “Aren’t you afraid?” Of course I was afraid, but I was more fearful of being toothless, never being able to smile or eat again. It wasn’t that the broken or missing teeth were in the back; they were in the front. Emotionally, my insecurities were taking a toll on my quality of life. I never smiled. I gummed my food. I was a sight; frankly, I was sad. Upon arrival, Jose, our driver, scooped us up and took us to the hotel, which the clinic had arranged. The next day, he picked us up for our appointment as he would each and every day. I must admit, breathing became difficult as I entered the clinic. The staff, young and energetic, greeted me with enormous smiles. I thought to myself, “This might be okay.” The modern office was awash with light and it calmed me. After preliminary introductions and photos, we met Dr Meza, who sat with us for about an hour, making recommendations and explaining why this was the best course of action. Totally astounded by the fact that he spent so much time educating us on what was about to happen, we were never more certain that we had made the right choice, seeking medical care in Costa Rica. Each day, I had scheduled procedures (implants, root canals, crowns) and on Friday, I returned home with a sore mouth and dentures. I hated the dentures but they were a necessary step. Six months later, my husband and I returned for two weeks. I had three distinct procedures, with downtime in between for healing and an opportunity to travel the country. At the beginning, when old teeth were being removed and old crowns were being done away with, I remember looking into the mirror with doubt. “How in the world can this turn into beauty?” It made no sense to me. At the end of our two weeks, I was reborn. I cried then and I still cry to this day at my new smile. As I told Dr Marianella Marin, my primary doctor—and the only Latin American woman to be accredited by the American Academy of Cosmetic Dentistry—yes, I paid you, but there is no price that can be put on what you gave me in return. Medical tourism puts the power and cost of your treatment in your hands by providing options. 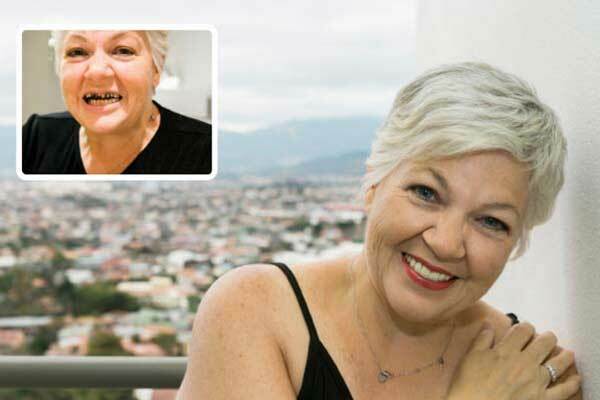 Restoring my teeth has provided better overall health and the lift to my self-esteem is immeasurable. 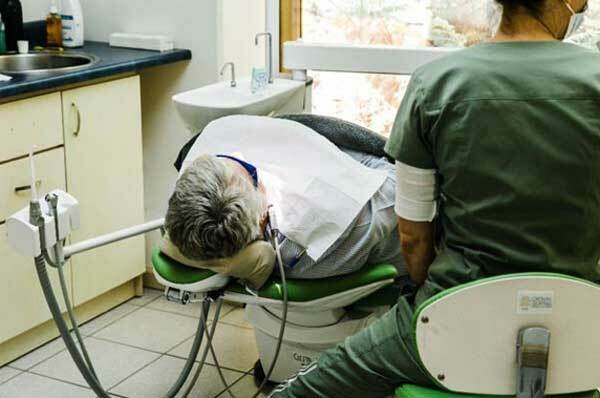 Having these exact dental procedures completed at home was so expensive that I never would have had any work completed; my total cost (including travel) was US$30,000 (AU$42,000). If you do your homework—and you MUST do your homework—solutions are possible, and you’ll be smiling in no time.